There’s no single trick to creating a realistic open world. When games succeed, they do so by building an unstable stack of gimmicks, one on top of another, each layer further convincing the player that what they’re seeing is real, while also increasing the risk the whole thing might topple over. And yet, after 60 hours in the world of Red Dead Redemption 2, it still feels real to me — partly because its creators seem comfortable with the illusion breaking every now and then. Rockstar Games has made the most convincing digital world I’ve ever seen. And with that come some truly glorious sights, as well as some profoundly disturbing, hilarious and absolutely unintended “breaks” in the reality it works so hard to maintain. 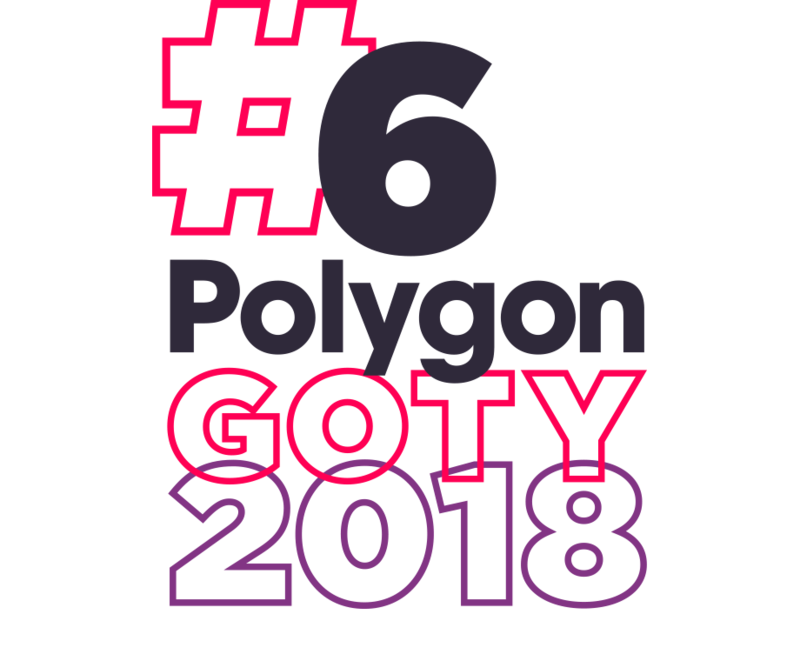 For our 2018 guide to the best games of the year, Polygon has been counting down our top 10 each weekday, ending with our top choice — hello! — as well as the full list of our top 50 favorites from 2018. And throughout the month, we’ll be looking back on the year with special videos, essays and surprises! One of my favorite ways to enjoy an elaborate open-world game is to do nothing. Literally. I pick a random spot and let the simulation play out. There’s a hunting cabin in the northwest region of Red Dead Redemption 2’s map. It’s raised off the ground on stilts, perhaps making it a better vantage point while also keeping any occupants out of the maw of a hungry predator. I first stumble upon the home while searching for wolf pelts to upgrade my satchel. I need to take a break from playing — it’s been a few hours — so I climb up the wooden ladder, save my game and set down the controller. For whatever reason, I don’t turn the game off. I just leave it running while I help prepare for dinner in my actual home. It continues to run during my meal and then afterward, for about 40 minutes in total. When I finally glance up, Arthur is still standing passively on the porch, overlooking a field and stream nearby. It seems to be midday in the game, but dark clouds are rolling in on the horizon. Suddenly, a slash of lighting cuts across the sky. The field, once idyllic, turns foreboding. The grass shifts as a lone deer looks in the direction of the thunder. The wind blows across the field, pushing the grass down to reveal a small pack of gray wolves moving in formation toward the deer. Another lighting strike, and the wolves charge. The deer bolts as the chase continues out of sight. I pick up the controller, climb down the ladder and go about my business looking for pelts. Within the first dozen hours of playing Red Dead Redemption 2, I decide I want to fill in as much of the map as possible. I scour the edges of my known world, revealing lakes, mountains and eventually a seashore. I follow the shore south, discovering the dilapidated town of Van Horn Trading Post and its surly residents. I try to make friends, earning mysterious karma points for nodding at and greeting folks. They seem unimpressed, but the points continue to roll in. I wander into a nearby bar, play some blackjack for a meaningless challenge and then continue on my quest south to fill in the remainder of the coast. As I ride, I continue to greet people on horseback with pleasant variants of “howdy!” I wonder whether I should just follow one of them and see where they end up, but I decide to stick to revealing every corner of the map. The landscape soon opens into a swampy bayou. Off to the east, I spot what appears to be the ocean. Consulting the map, I notice that the edge of an island has become visible in the middle of the water. I try swimming there, but I drown within seconds. I try swimming to a nearby boat, and again, I drown. I decide I’m making it to this island, no matter what. I scour the coastline for a boat, soon finding an abandoned canoe. I am surprisingly adept with it, paddling out into the ocean toward this mystery island. Upon getting closer, I see that it’s actually a prison island. Interesting! Guard towers litter the coastline. I wonder whether some awesome treasure or secret gun awaits me within the confines of the prison. I decide to try to sneak inside. The first step? Take out the guy in the guard tower. My friendly, howdy-shouting self has no interest in killing a random guard at a prison, so I figure I’m going to sneak up on him and knock him out silently and nonlethally. I reach the base of his tower, quietly climb the ladder and position myself behind the guard. He seems nice enough. Hopefully he won’t mind too much after he wakes up. It’s at this point that I realize I still haven’t fully mastered Red Dead Redemption 2’s controls. I expect some sort of prompt, but nothing appears, and he begins to turn around. I struggle a bit with the gamepad, and something happens. Something bad. Rather than peacefully and silently subduing this innocent guard, I smack him with my shotgun and proceed to detonate his entire head as if it were a water balloon filled with cranberry juice. It’s gone. Well, gone save for a bit of jawbone and neck remaining above his limp shoulders. I feel slightly nauseous. I flash back to all the folks I passed on the road, to the blackjack players at the bar. All those people I ascribed some sort of story to. And this guy too. He had a story. He was a guard; he seemed nice enough. And now he has no head. The level of realism in Red Dead Redemption 2 — both in how the world looks and how it behaves — suggests that every person and animal has a story outside my actions. That they matter. Like I said, the more closely that this sort of game approaches realism, the more precarious it gets. In so many Rockstar games, an unintended act of violence just means the beginning of a playful run from the law. Here, it feels like cold, ugly murder. 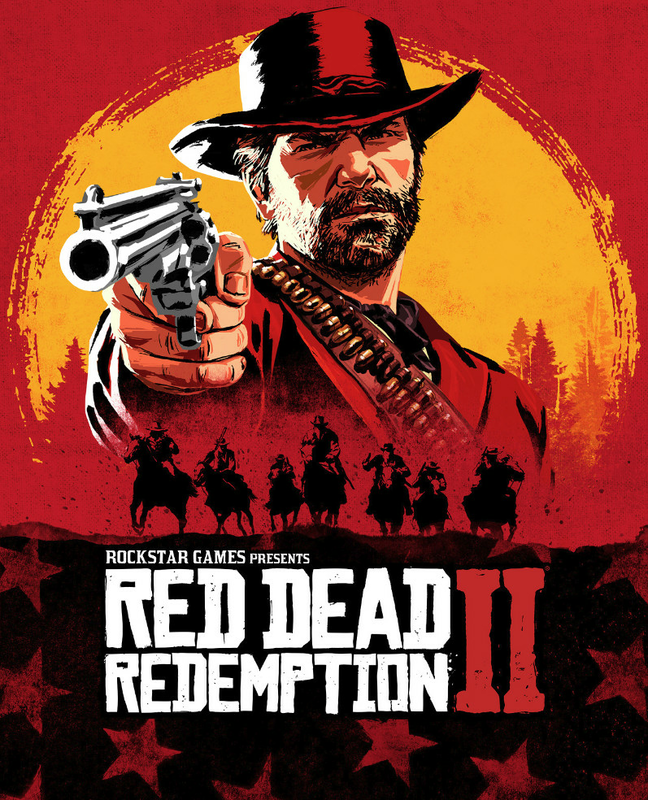 That sequence has stuck with me, more than Red Dead Redemption 2’s entire story. It’s a testament to the game’s design, both its ambition and its clear limitations. The internet has provided countless examples of the world of Red Dead Redemption 2 breaking in hilarious ways. (This usually involves horses pinwheeling down mountainsides.) But what makes these moments so entertaining is the incredible fidelity of everything else. 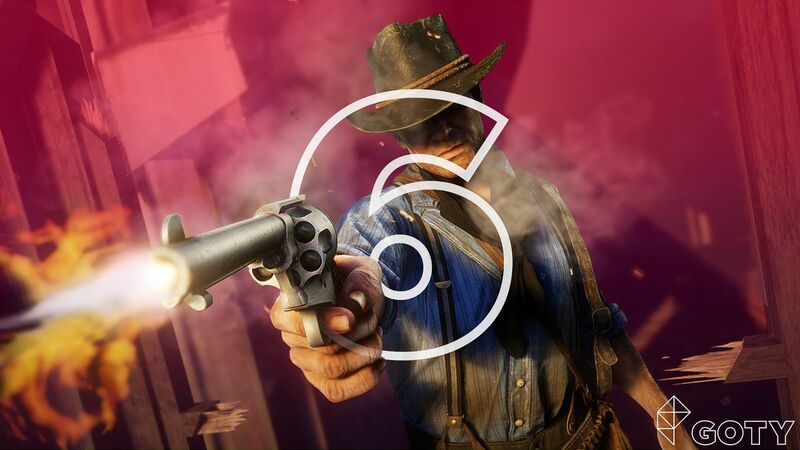 The world of Red Dead Redemption 2 feels real, so when something very unreal occurs, you can’t help but sit and gape. So no, it isn’t a strong and sturdy structure of game design. It’s amazing it manages to stay upright. And when it comes tumbling down like a humongous Jenga tower, it’s hilarious, infuriating and impressive, often all at once. It’s the most believable virtual world to date, but that comes with a paradox: The closer that simulated world gets to reality, the more obvious it becomes that it’s unreal.